Spring is a great time to start thinking about ways of enjoying your outdoor living spaces. Using Brick Pavers is a great option if you are considering updating your existing patio or installing a new one. Brick pavers are available in a wide variety of colors and designs to fit individual tastes and preferences. They can be installed in any shape or pattern to complement existing landscaping and enhance your home’s architectural style. Durability & Strength – Brick Pavers are very dense and can withstand extreme weather conditions and great amounts of pressure, including vehicular traffic. 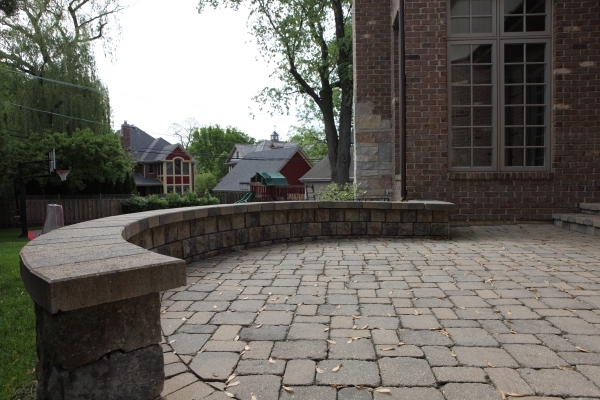 Safety – Because of their abrasive and textured surfaces most Brick Pavers are skid and slip resistant, even when wet. 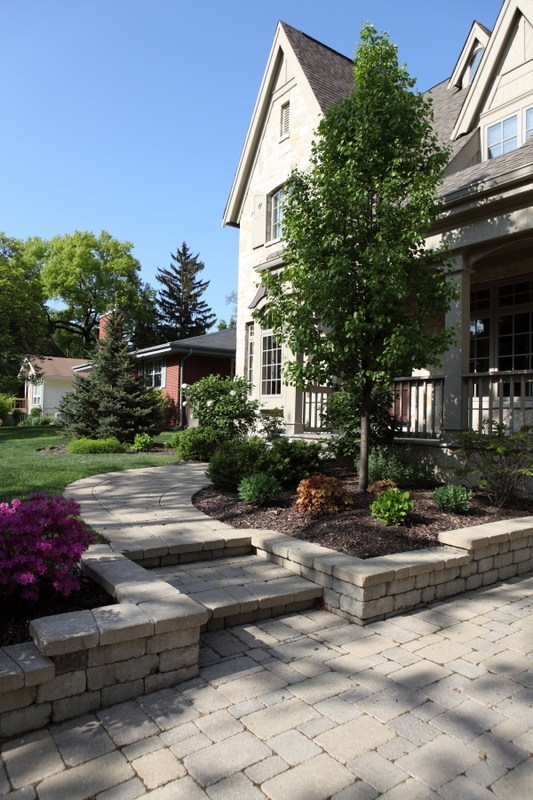 Low Maintenance – Brick Pavers require very little maintenance. To keep color surface from fading we recommend Pavers be sealed upon installation and every few years afterward – this will keep them looking great for many decades. 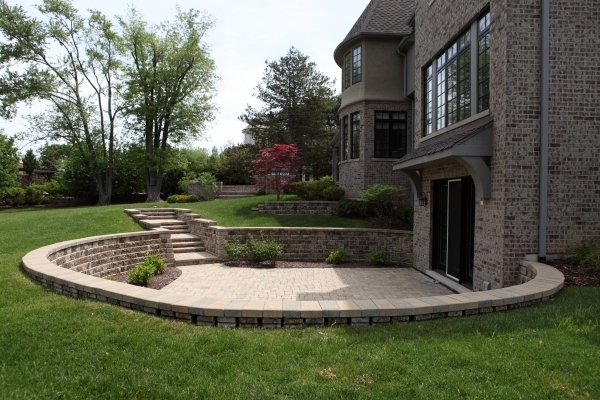 Environmentally Friendly – Brick Pavers are made from all natural materials and therefore can be recycled. The Brick Pavers pictured above and below were designed and installed by Battaglia Homes’ expert team of designers and installers. For more information about Battaglia Homes visit our website at www.battagliahomes.com or email us at info@battagliahomes.com or simply call us today at 630-669-4280. We’d love to hear from you, tell us if you appreciate the timeless beauty of Brick Pavers for your outdoor living spaces – or perhaps you prefer the use of other materials. Either way we appreciate your comments below. Were on the same page, i prefer using pavers than concrete because pavers last way longer, very modern, simple enough to set up. Everyone can do pavers but not everyone can do concrete.